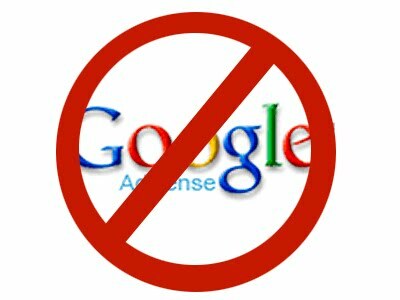 If you’re looking for the most similar Adsense Alternative, here you have it: The Adsense for Yahoo and Bing. Media.net is an industry-leading technology company that develops innovative digital advertising products for both publishers and advertisers. They have over 500 employees in key operation centers across – New York, Los Angeles, Dubai, Zurich, Mumbai & Bangalore. By Revenue, Media.net runs the #1 largest contextual ads program globally. Media.net powers the Yahoo! Bing Network Contextual Ads program. Media.net exclusively manages technology, business operations and relationships with respect to publishers worldwide for this program. Today, Media.net is a leading global contextual advertising company that provides a wide range of advertising and traffic monetization solutions to a substantial and diversified client base. With more than 500 employees, Media.net has one of the largest teams worldwide building a global contextual advertising business. Plus, they take 2 days on average to get your account approved and will give you an extra 10% over your earnings the first 3 months! (way better than waiting weeks for an Adsense approval). Sign up here. Revenue Hits is a very strong network with several years in the industry. I’ve been working with them for 2 years and so far the results have been great. Revenue Hits is a Performance Ad network, which means they pay you for results (CPA, which is great for many niches). Revenue Hits has an advanced platform that learns from your Ads so if you give them a try make sure to keep their ads running for at least 3-4 days to get the best results. Another great thing is that they have different monetization channels available. You can create banner ads, sliders, pop -unders, buttons and more. Revenue Hits pays on a NET 30 basis and they issue payments via wire, Paypal and Payoneer! Create your account and get started in just a few minutes HERE! PopAds is a performance network specialized in Pop Unders. They have good rates and they can monetize all countries. Something great about PopAds is that they can pay daily as long as you earn $5 or more per day. Their quality is good, and they also have pop ups, tab ups/unders and other monetization methods. Their approvals are easy and setting your ads takes just a few minutes. Sign up as a publisher here. Popcash is another very good network that has been out for a long time and usually gives me similar results as PopAds (see number 4). PopCash has PopUnder ads with a great CPM and good inventory for all countries both for mobile and desktop traffic. You can request your payments inside the dashboard and they pay via Paypal, Payza and Paxum. Money transfers usually take 24-48 hours which isn’t bad at all. Sign up here and get started with Popcash. Infolinks is one of the largest monetization networks in the world today, helping more than 200,000 online publishers in 128 countries earn money from their unused ad space. Their FREE to use native ads work perfectly with all ad solutions and don’t interfere with the user’s experience! From effective contextual and video ads, to engaging display banners – Infolinks’ highly customizable products will guarantee you make the most out of your traffic. Their platform is very simple to integrate into your site, and is open to any publisher, big or small, with no setup fees, no minimum requirements for page views or visitors and no hidden commitments. Infolinks advertisers are selected based on quality, that’s why they work with worldwide leading brands such as: Facebook, Amazon, Ebay, Ali Express, Pizza Hut, TripAdvisor, Hyundai and many more. Start using Infolinks here . Propeller Ads is one of the biggest pop-under networks available. They started working in 2011 and quickly developed into one of the biggest networks with great CPMs. They specialize in monetizing websites for the following niches: entertainment, videos/movies, games, dating, finances, software, gambling and more. If you’ve got one of this sites, you could make more money with Propeller than with Adsense. They also have banners but the pop unders work better overall. Also, if you’ve got mobile traffic, they’re a great Adsense alternative as they work closely with ad networks that monetize apps and mobile services leading to huge ROIs and great CPMs too.